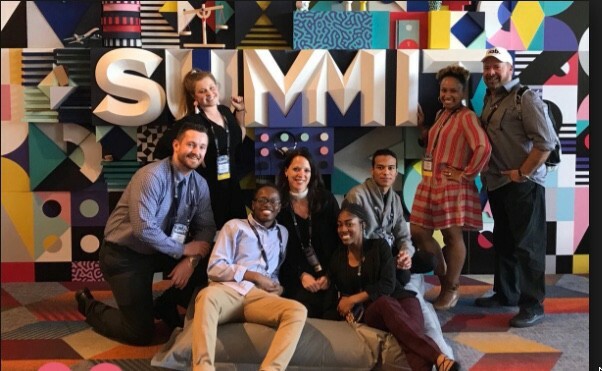 As detailed in recent posts, I was excited when Adobe invited me to report on its annual summit and grateful when the company embraced my request to bring 11 students— 4 onsite and 7 back at a social media command center in Charlotte, NC) to help me cover the event. On the surface, Adobe Summit offers a half week long opportunity for 13,000+ attendees to listen to best-in-class leaders, be entertained, network, and report on ideas through our own shared lens. 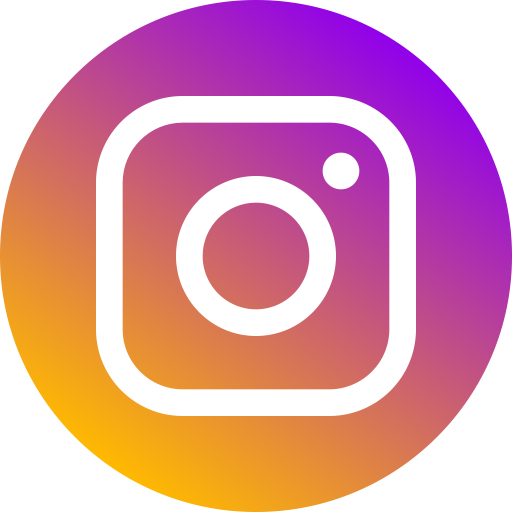 For us, a Gen Z reporting team staffed by the 13–19 year old and yours truly at 43, our lens was primarily digital and social since we depended on Twitter, Instagram, Snapchat and our mobile phones to communicate. 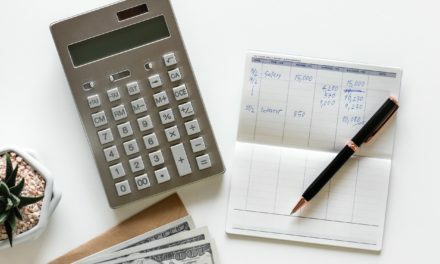 Ultimately, the job evolved into a rare, real and unforgettable opportunity to step outside my GenX identity, jettison personal baggage, forge friendships and enjoy a two-way mentorship. Perhaps the only people more excited to listen to and report on Adobe’s top brass, Richard Branson (VirginUnite), Leslie Jones (Saturday Night Live), J.J. Watts (NFL) and James Sommerville(Coca-Cola) were the members of the GenZ reporting team: Damien Watson Jr., Jogle De Leon, Alana Jones and Avery Primis — with me in Las Vegas — and Harmoni Riggins, John K Bell, Patricia Garcia, Ashley Dickenson, Nina Merritt and Marco Garcia on the live streaming reporting from Charlotte Mecklenburg. 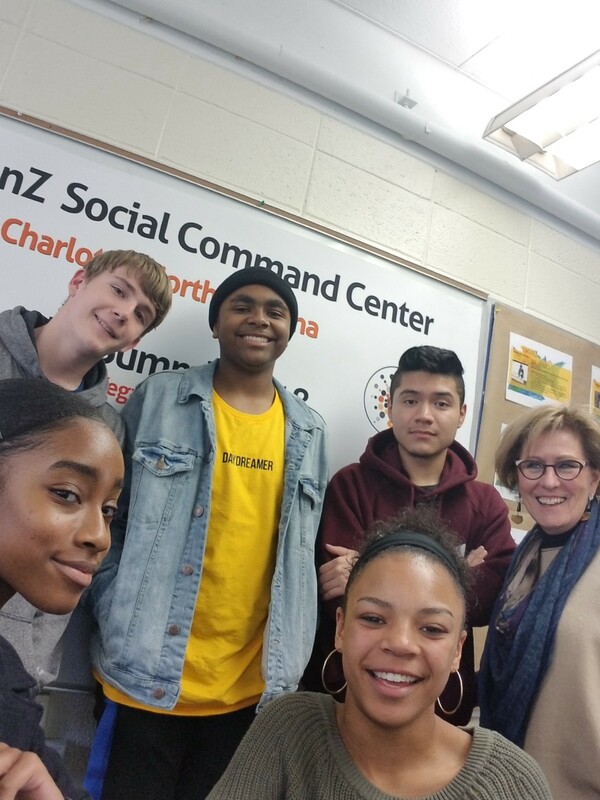 I was fortunate to connect with the students, who all attend the Charlotte Mecklenberg school district, when WeRGenZ, a think tank begun in Charlotte and building across the country was brought to my attention. 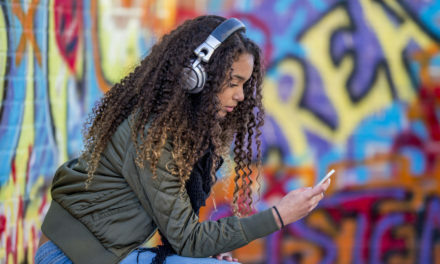 WeRGenZ is a unique program adding teen collaborators and influencers every day- to fulfill on its mission to help GenZ kids gain share-of-voice as the spokespersons for their generation. 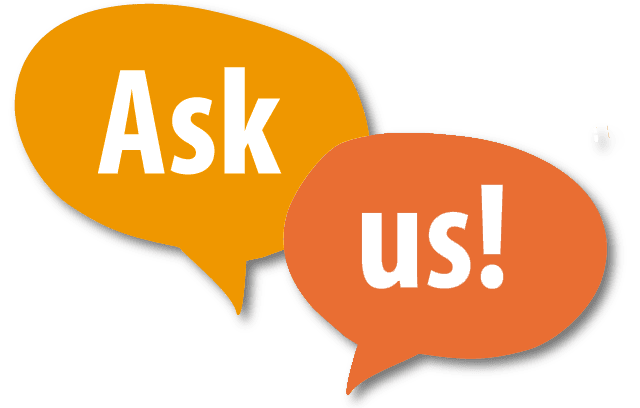 Each time we were introduced to a main stage speaker, a real-time Q&A with marketers on key topics or meetings with attendees and others covering Adobe Summit, the team and I explored what we encountered together. Rather than simply typing what we heard, we first focused on listening. We then began to interact and communicate both individually and as a collective and then beyond. The experience was enlightening. As I prepared to share my own perspective, I sometimes found it changed or influenced by points of view shared by the team. What they shared challenged, expanded and opened up new ways of thinking. 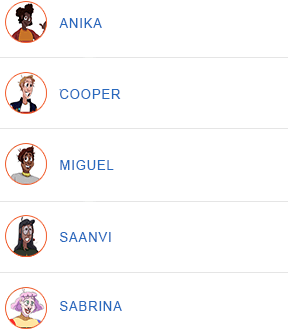 For instance, while my first thoughts in reaction to Branson and Jones were specific to my generation, Alana, Jogle, Damien and Avery had different perspectives. 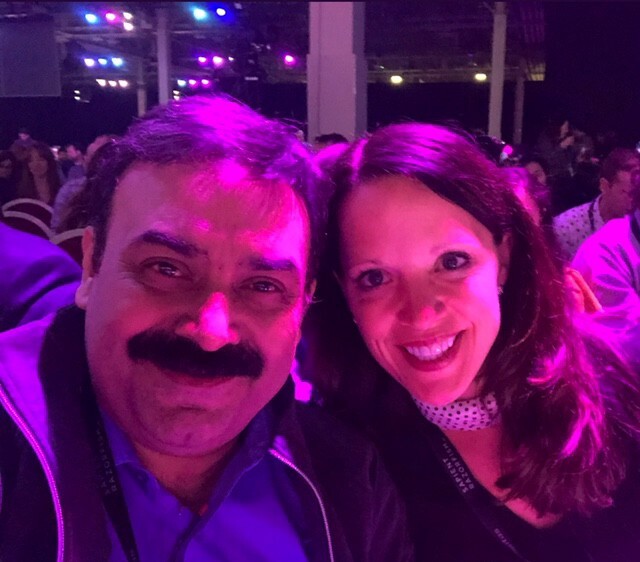 The same was evident when the reporting team and I interacted with our fellow Adobe Summit social influencers, a very small group Adobe invites to cover the event each year. 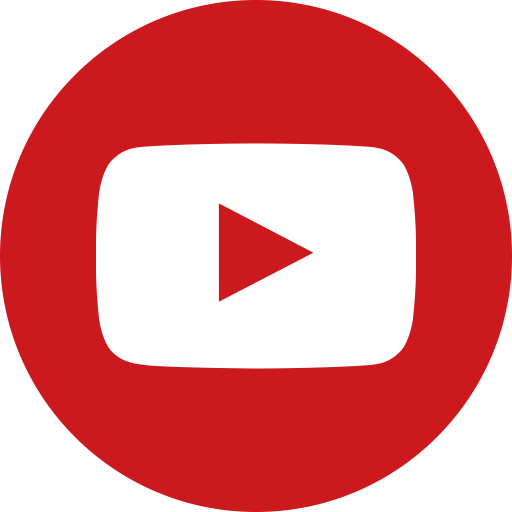 I was simply intrigued by HOW influencers like Matt Owen and Ross Quintana became such high traction social voices. 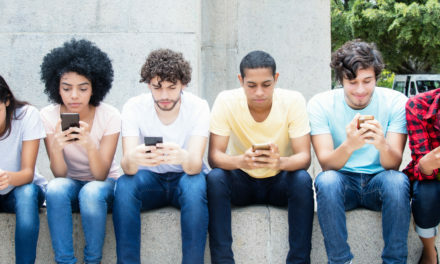 The GenZ reporting team connected at a much more authentic level. Somehow they seemed to get that the appeal of people like Matt and Ross has a lot to do with authenticity of their characters and how easy it is to connect with and follow them. The team commented about how funny and down to earth they found their new friends. Ross was a particular GenZ favorite and it was clear why. No other individual at the conference invested so much time in the team. He often had the team laughing as he told us how he and his many children and wife often make funny pics of one another on their devices as a familial game. One evening, I caught Ross looking one of our reporters directly in the eye and heard him say, “When you and I are speaking, you are the most important person .” Ross didn’t pull out a device and his gaze never lingered. I was taken back and — embarrassed. It made me think of the times I fail to communicate the same message to my own GenZ child. Since we were at Adobe Summit to report with our devices, it wasn’t appropriate to tuck them away at all times. Ross’ behavior reminded me of how powerful it can be to do it at the right time. Ross, if you are reading, thank you. You had a huge impact on our team! 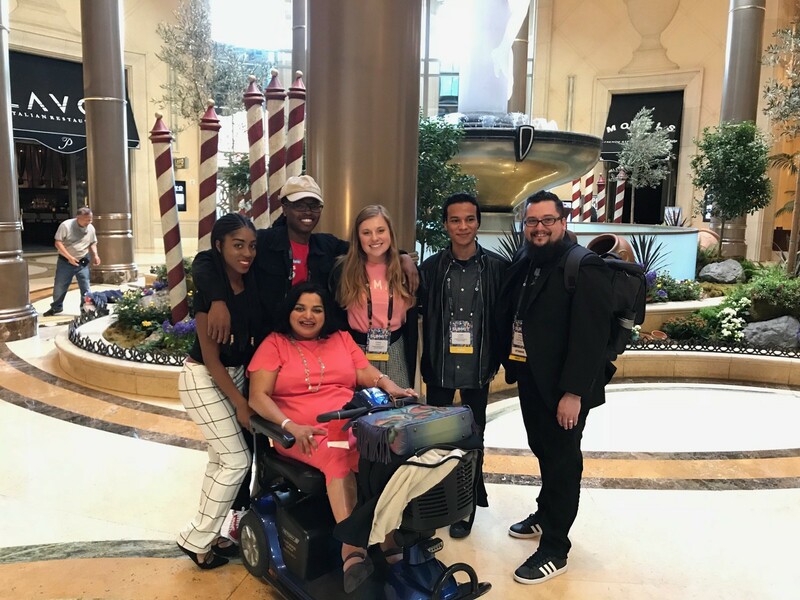 The team also enjoyed lengthy and meaningful conversations with Forbes reporter Kristin Westcott Grant as well as Adobe’s own Rani Mani and Mark Boothe. Thank you! Photos and excerpts from the daily reporting diaries below reveal the excitement and enthusiasm our team had for the reporting roles — as well as the team’s gratefulness. Avery Primis … I am so extremely excited for the coming days. However, I know that this work will be work, but I will make it fun! I enjoy social and communicating with others…Plus, look really cute while doing it (because I worked really hard on my outfits lol). As a teenager, it makes me feel so important that Adobe cares about my generation. This is the first time that I have personally seen a company truly try and UNDERSTAND my generation, instead of believe all of the prejudgements and preconceived ideas. I am most excited to learn how to apply these skills in real time. Today has been really great! I’m in a new city with new people and I get to experience something completely foreign to me, which I AM SO HERE FOR!! Jogle DeLeon I want to learn how to influence people, how to make them look at me and what I’m doing. I would like them to know that GenZ is not all about social media and can actually make an impact in the real world. Something that I learned is people are really kind. There were a lot of business leaders at the summit. I thought they would look down on us. It wasn’t like that. That is something I would never had learned inside school — to not be afraid of “bigger” people, to believe in myself and to not feel bad for being different. I really feel like we can take GenZ to new heights. I am interested in learning more about artificial intelligence and what exactly companies have in mind for A.I. Also do companies plan to leave somethings humanized. I feel as if our generation is misrepresented. 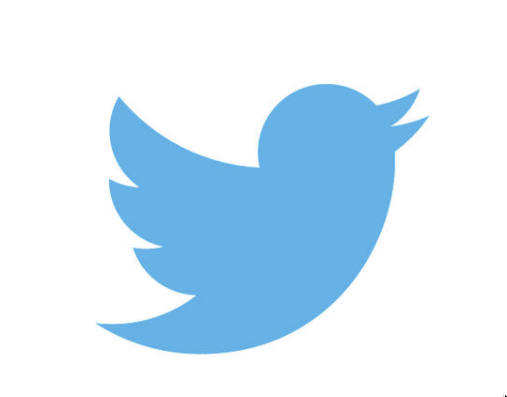 We are critiqued a lot through our famous social media leaders which do not reflect the whole generation. I want to teach brands that as a GenZ teen, all we want is to be understood rather than judged, critiqued, and compared all the time. 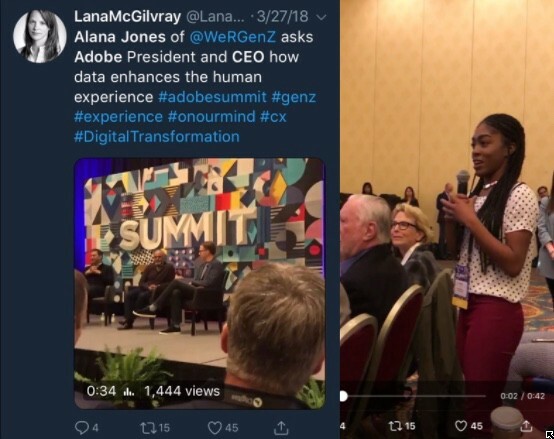 By day 2, Alana Jones found the courage to raise her hand in a closed press and analyst briefing and ask Adobe CEO and President Shantanu Narayen how Adobe is advancing humanity! (watch video here!) Spoiler…he had a great answer. Prior to the conference, @WeRGenZ coached me , “GenZ isn’t promising to change the future. They are changing it.” In that room, I realized I was watching the future take a stand! We are in great hands. The GenZ team was also VERY into creative collaboration and doing things well and together. We ate, reported and shot hoops as a group. 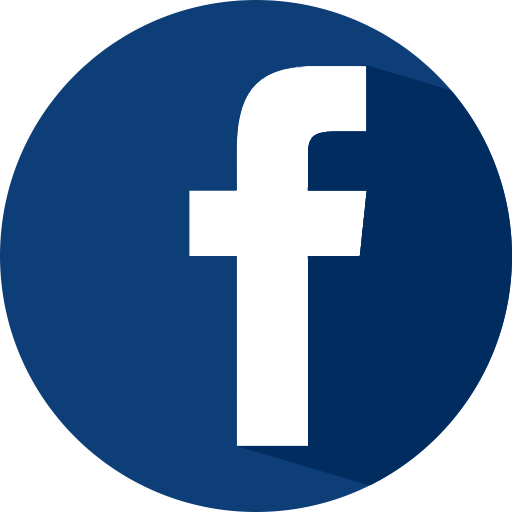 The team also aired a few concerns and tips for those trying to determine exactly what and who GenZ and they ‘are’ as well as some praise for those doing things right. Those of us that came before GenZ should listen up as they start inching towards a majority. According to @WeRGenZ, by 2020 Gen Z will already account for 40% of all consumers. 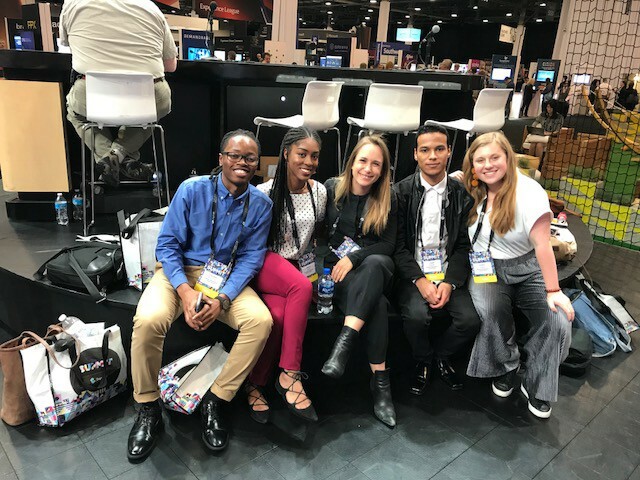 The speakers and social influencers were not the only ones to take notice and forge relationships with the GenZ reporting team. Throughout the conference, the team may have been the second only attraction to a litter of puppies that were brought into the expo. The interest in the team ranged. At first, those we met wondered why we were there — although it was easy for the savvy marketers to see why having then next gen of consumers at their conference made sense! Mostly, the conversations led to talks about what the GenZ team wanted out of it. “ A chance…” was often the first part of reactions. “A chance to be heard.”, “A chance to meet leaders doing things we want to do.” , “A chance to intern.” “A chance to work at your company.” Leaders from Ad Council, Adobe, American Heart, Merkle, Hootsuite, Persado, and Yext were just a few of the attendees that helped us explore how to activate those chances. 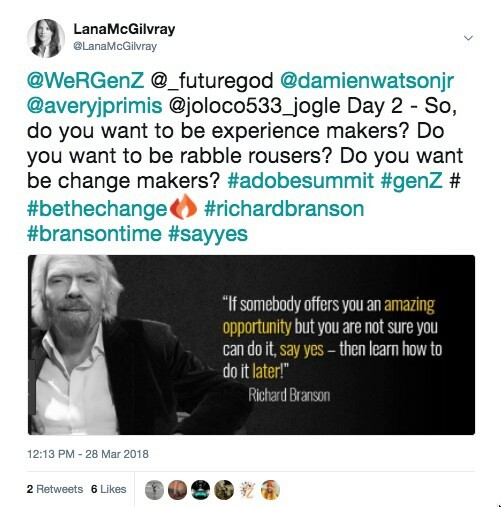 The unpredictable, priceless value of a wonderful shared experienceUltimately, my 72 hour lesson was a journey across Adobe Summit with some very special GenZ reporters. It provided a path to new friendships and the afterglow of great shared experience making. In the future, AI and other innovations will do much for us. Still, as Mr. Narayen impressed on us on the opening day, no matter who or what does the work, as humans — we will still chase down our dreams in quests for strong, memorable experiences. I agree and take comfort that realizing those dreams sometimes simply requires showing up and being there for one another. In sum — those experiences — the images, smells, feel and soundtracks — are our lives. They are unpredictable and priceless.